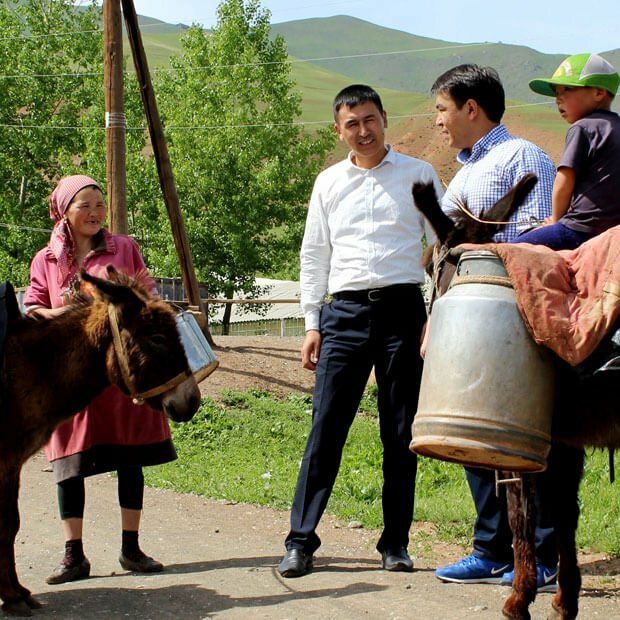 The 2017 GOTV campaign built upon the work of similar young activists in Kyrgyzstan who led initiatives ahead of the 2015 parliamentary and 2016 local elections. In 2015, NDI launched the Jash Dobush (“The Young Vote”) GOTV project, partnering with 16 youth activist leaders who met with their peers to talk about the importance of voting. The young people took advantage of growing social media use among their peers to broaden their reach, designing videos, webpages and even organizing a Selfiekattoo, or selfie voter-registration challenge. For the 2016 city council elections in Kyrgyzstan’s capital, Bishkek, returning youth activists expanded on the progress made in 2015. In an effort to motivate greater engagement, activists involved local celebrities in GOTV videos, which were posted on popular social media platforms like Facebook and Instagram. As the youth activists designed the 2017 campaign, they recognized that an all-out effort, with both face-to-face and online activities, would be necessary to capture the attention of young people throughout the country. In September, the 15 GOTV advocates deployed to all seven regions of Kyrgyzstan to conduct thousands of interviews with potential young voters. The voters they encountered were asked to describe the reasons they felt voting was important. Videos of these encounters were then posted to the Jash Dobush Facebook page. Among the reasons cited were the voters’ views on particular candidates and policies and that voting was important as a civic duty and a key component of the democratic process. Activists also collaborated with young celebrities to attract greater interest in the project. They developed short videos with GOTV messages featuring these celebrities and worked with the Central Election Commission (CEC) to publish the videos on state television channels. One example is from the below video, where youth activists walked around popular places in Bishkek with taped mouths, symbolizing the way that young people in the country are pressured into not making their voices heard politically. 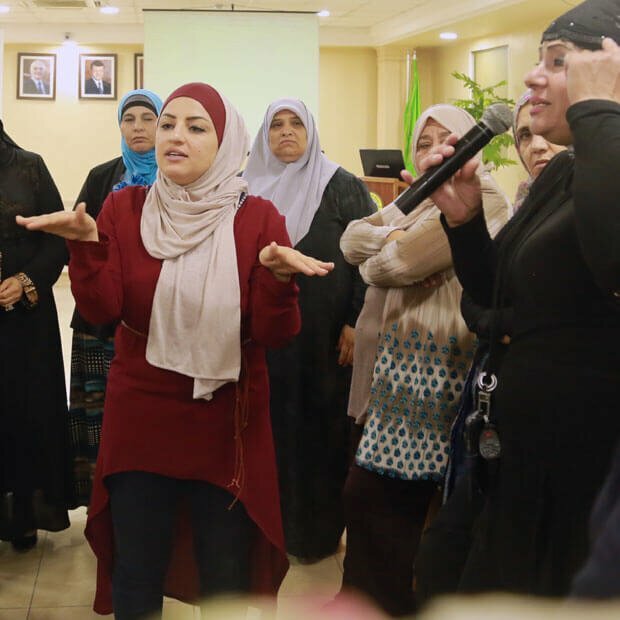 The reactions of the people the activists met were recorded, with the young activists tearing the tape from their mouths to deliver messages like “I will not be silent, I will vote” and “My voice matters. I will vote.” The video was promoted on Facebook and Instagram, and received more than 42,000 views. 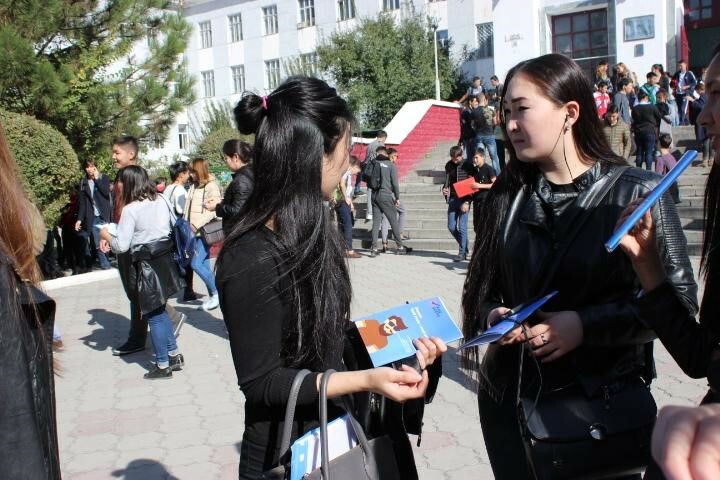 In the days preceding the election the activists conducted one last series of face-to-face outreach events at universities in the cities of Bishkek and Osh. Over the course of two days, they spoke with more than 1,500 students. Utilizing creative outreach strategies involving mock Instagram frames, brochures, balloons, and hashtags, the activists ensured a strong social media presence. In total, the videos produced as part of the GOTV campaign were viewed more than 500,000 times across Facebook and Instagram and reached more than one million users, an impressive feat in a country where internet access remains low. 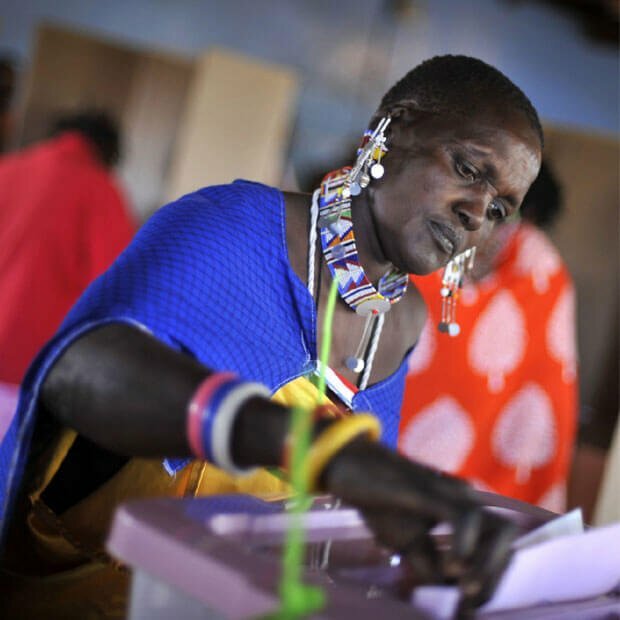 In total, the videos produced as part of the GOTV campaign were viewed more than 500,000 times across Facebook and Instagram and reached more than one million users, an impressive feat in a country where internet access remains low. The election proved that young voters are a powerful and vocal force within the Kyrgyzstani electorate. Voter turnout in the presidential election was higher among young people (those aged 18-29) than in any other age group. The total number of young voters also increased by approximately five percent compared with the 2015 parliamentary elections.